Some of THE best comedians and best prices for your comedy night! Stand up comedy shows are consistently one of the most profitable forms of live entertainment! People love to laugh. It’s low-cost entertainment option that relates with every demographic. Why should I do comedy shows? it’s very profitable and depending on the production company, limitless. Not every bar in town offers good comedy shows. it (like a band, DJ, etc.). When promoted & presented right, comedy shows can be used to bring patrons in on a slow night or make an average night a packed house! Plus you can use comedy shows as a way to get crowds in, then have them stay all night with your DJ or karaoke afterward, which we also offer (“Comedy-Oke Show” & “ComedyRager”). Why should I choose Up Comedy? We LOVE to entertain. We have many years of making comedy work in hard or unique venues as well as typical spots, such as comedy clubs, bars, fraternal organizations, theaters, & more. We know what it takes to make comedy work, includes proper promotion and being in constant contact with the comedy community. We have over 1,000 national touring comedians in our “Rolodex”. What kind of comedians do you have? We have over 1,000 comedians on file. Many of our comedians have appeared on HBO, Showtime, Comedy Central, Jimmy Fallon, Conan, Letterman, Last Comic Standing, and the syndicated Bob & Tom Radio Show. We know & work with some of the funniest comedians working today. We also have access to some celebrity comedians*. Price depends on several things, including your location for routing and the night you want to do a comedy show. Since we book our comedians on tours, we are able to offer them more work and the venue lower prices. For a once a month show prices range from $250-600 on average (depending on location & headlining comic). Our general show consists of three to five, sometimes six comedians and last roughly 75 to 90 minutes, sometimes more. How much should my bar seat? Comedy can be perfect in almost any venue. We look for establishments that seat at least 40 patrons, with an area for a stage or place for comedians to stand. How often should I do shows? We suggest either once a week, bi-weekly, or monthly. This all depends on your venue & location. The main thing is setting a schedule and sticking to it. This way customers will always know when the shows are. You can always add more shows as the business grows. Like open mic, variety shows (talk shows) & special events. Can I start a full-time comedy club? Yes. we can help you open a full-time comedy club. Converting your business to a comedy club a few nights a month/week is common and profitable. We have the resources and available talent to help you succeed. Whether it’s a Friday-Saturday club or club open 5 days a week, we can help. What does Up Comedy provide? Each room we book is supplied with our “tip sheets” on making comedy work, flyers for your comedy show, Youtube & Instagram commercials, & we are easily accessible anytime via phone or email to help anytime. 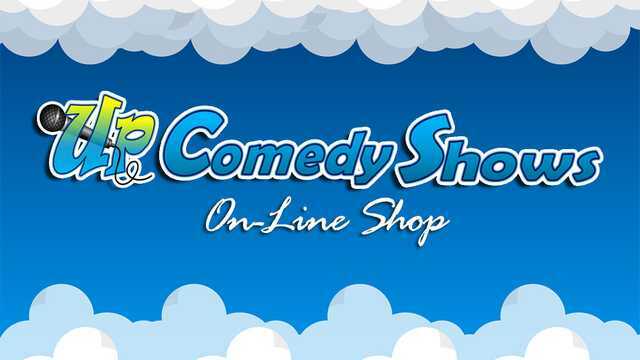 The Best Reason to choose Up Comedy Shows is that of our successful track record. We are one of Longest running production companies in Southern California and we are growing. Give us a call and we’ll show you how it’s done. Any other questions? Send us a Message.